Are you considering nature walks with kids this weekend? When my children were younger, we spent a lot of time outside. Mainly because I was a stay at home mom and any mess they made outside was one that I didn’t have to clean up. They could also be loud, run around like maniacs and tire themselves out so they would take a good nap. Outside time every day kept us all sane! I was also very passionate about their education, even at a young age. While I didn’t home school, I made sure to find something that we could learn about every day. Whether it was colors at the grocery store or geography at the zoo, there was a lesson to learn just about everywhere we went. Nature walks with kids are a great way to accomplish multiple things at once. 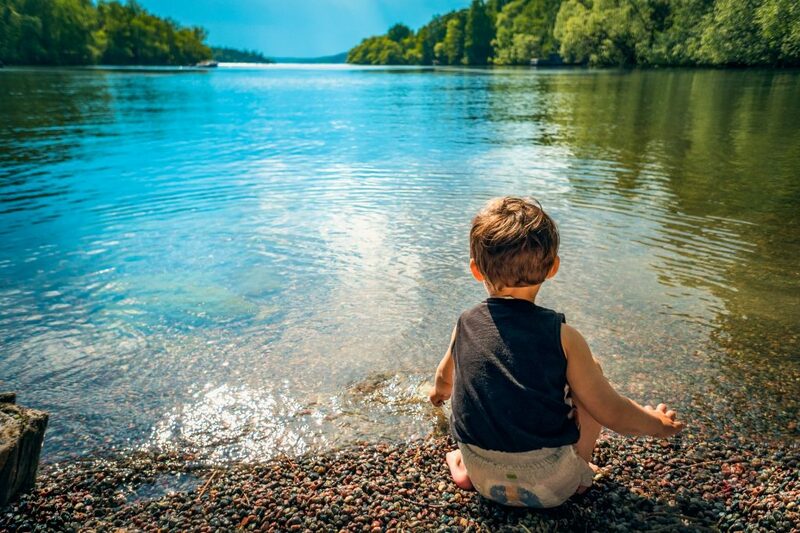 Your child gets plenty of exercise while also learning some valuable lessons about nature and the environment. I’m going to share a few nature walk ideas that help keep your journey fun as well as educational. I will also include a few affiliate links for things you may find helpful. Read the right books before you go: Reading books about nature helps engage your child with the world around them. They can learn all about the forest animals in their back yard with amusing stories with bright, colorful pictures. Depending on your child’s age, you can go with simple picture books or dive into fun yet educational books like The Magic Schoolbus or even Dr. Seuss. Here are a few good books to get you started. Stop worrying about getting dirty: When heading out on nature walks with kids, do not wear nice clothes and brand new sneakers. Put on your grungiest outfits and let them get dirty. Let them splash in puddles and dig in the dirt. Let them climb trees and jump off rocks. Not only is it good for gross motor skills, it teaches them life lessons as well. Talk about gravity, a frog’s life cycle, how erosion causes rocks to turn into soil and for soil to wash away when it rains. There are so many great life lessons in nature to be learned and getting dirty is half the fun! Bring along the right tools: While observing nature with your eyes if fun, you miss an awful lot! Make your eyes more powerful with binoculars and magnifying glasses. Bring kid sized shovels to dig with and buckets or a bag to bring home special things you find. Take along some paper and something to draw with to record what you see. For older children, consider investing in a journal with a pretty cover to give them a place to jot down thoughts about the world around them. Here are a few items that will help make nature walks for kids educational as you really examine what you find. Ask questions and answer them: Children are full of questions. Why is the sky blue? Why is the grass green? Why are those two lizards stacked on top of each other like that? They are incredibly curious creatures. Don’t just say ‘I Don’t Know’ or even worse, ignore them to play on your cell phone. Answer their questions. And if you don’t know the answer, suggest that you write down your questions and look up the answer later. Nature walks for kids can be the starting point for further research and experimentation. Look up science experiments about nature when you get home and continue the fun in your own kitchen. Nature walks with kids can be a ton of fun but they can also be educational at the same time. Fall is the perfect time to head outside and have some educational fun! 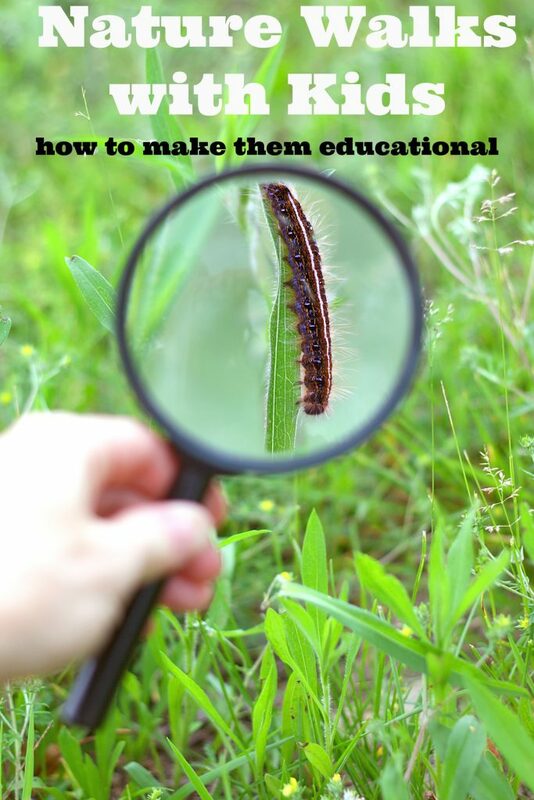 Have any other educational nature walk ideas? Why not pin these nature walk ideas so you don’t forget them! I love nature walks. I can't get the kids to come with me any longer but I still go! Great ideas! Nature walks are tailor made for making education fun. There's so much to talk about and explore out there. They are some great ideas. I wish there were more parks near me, but I am sure walking around the city street could be educational as well. This is brilliant! We're planning on taking our grandkids on a hike up on the Santa Rosa Plateau. Your words are going to make our day so much more educational and fun! Great ideas to implement! We have several of those Cat in the Hat series books and they really are a wealth of information - good for all kinds of things!